I’m a big fan of healing clays. I put them in my own bath and in my children’s bath water. I use them on my face as a face mask and my armpits to help detox and avoid odor. 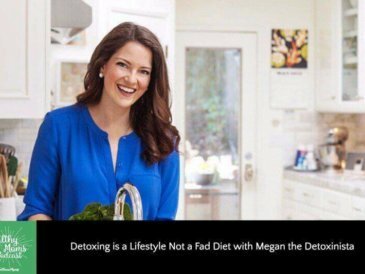 Another way I love to use them that is much easier than a full bath is a foot detox. 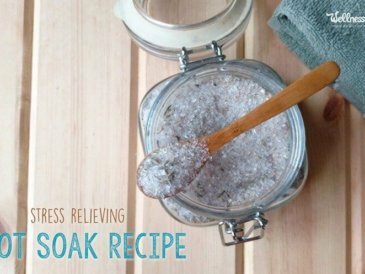 This provides many of the benefits as a clay or salt bath without the mess and extra work. Our feet are a hard working part of our body. Whether we are walking, chasing kids, working at a standing desk, wearing high heels, cooking, or any other daily activity, our feet take a beating. This is the reason a foot massage or pedicure is so relaxing. Our feet often hold more stress that we realize and relaxing our feet is a great way to help relax the whole body. 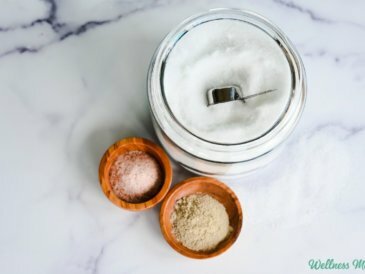 Even just a regular foot soak in hot water with epsom salt is relaxing, but I’ve found that adding a few additional ingredients can increase the relaxation and health benefits. 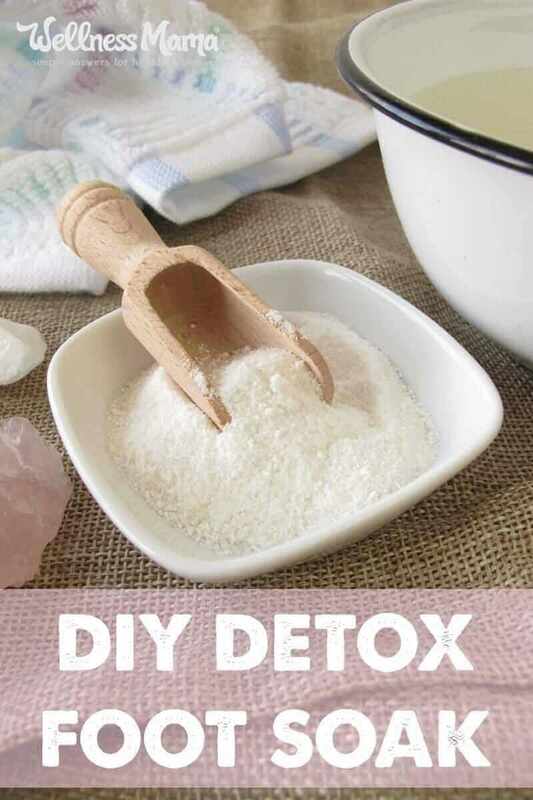 To get the most benefits from the clay and the epsom salts, I found an unusual way to start this bath. I began by mixing 1/2 cup of epsom salt into the water for a foot soak. I use a tub like this one, but even a three- dollar dishpan or a bucket will work just fine. I dissolve the epsom salt in hot (but not boiling) water and set it on a towel. 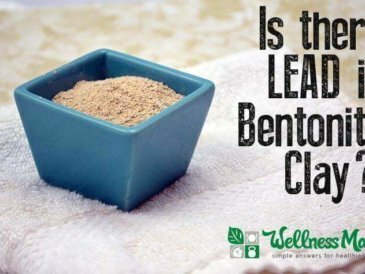 Then, I mix 2 tablespoons of bentonite clay with 1 tablespoon of apple cider vinegar in a bowl. Then, I add a little water to thin, if needed. I coat my feet in this mixture and let it dry for 10 minutes. By this time, the water has cooled enough to put my feet in and the bentonite has dried. I add 10 drops of essential oils to the water at this point if I want to. When I put my feet in the tub, the hardened clay dissolves slowly and the benefits of the epsom salts take effect. I continue to soak for about 15 minutes before gently scrubbing my feet with a natural brush. I rinse my feet and pat them dry. Typically, I do this before bed since it is really relaxing, but it could be done anytime. 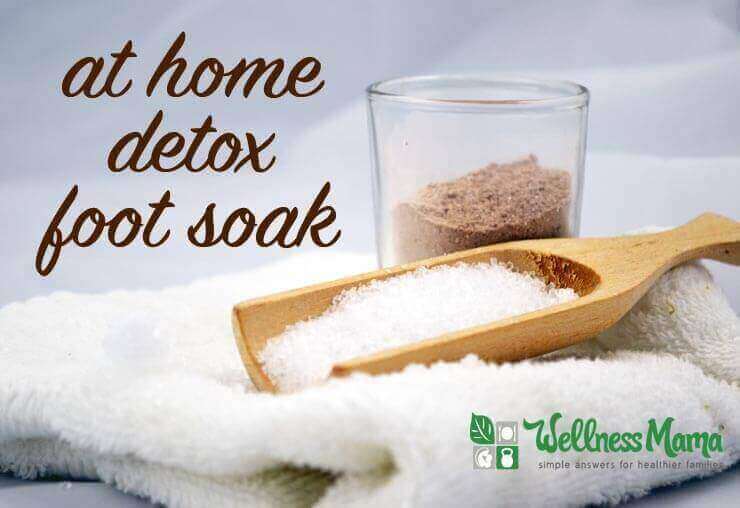 Dissolve the epsom salt in really hot, but not boiling water in a large bowl or foot tub. Set on a towel to let cool. 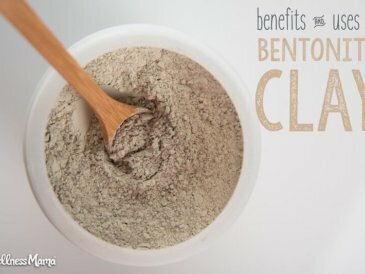 Mix the bentonite clay and the apple cider vinegar to make a paste and add water if needed to make smooth (sour cream consistency). Smooth over feet and ankles and let sit for 10 minutes until starting to dry and crack. Place in foot soak for 15 minutes. The clay will slowly dissolve and fall off. 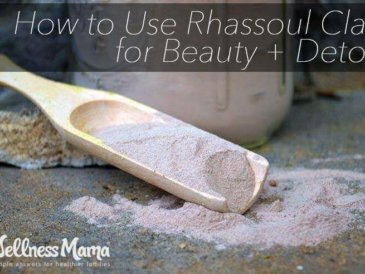 At the end, use a natural bristle brush to remove any remaining clay and dead skin. Do you pamper your feet? What is your favorite way?